Home Suresh Raina team India Yo-Yo test What is "Yo-Yo Test" in cricket..? 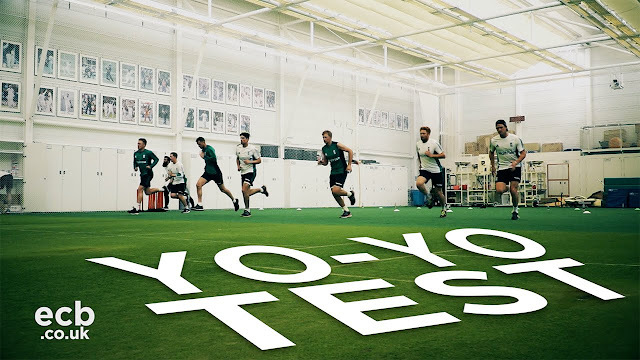 What is "Yo-Yo Test" in cricket..? Yo-Yo Endurance test is one of the advanced test that is used to test the player’s ability to run for extended period of time in order to test their endurance level. This is a software based process, firstly we have to place cones 20 metres apart in order to mark the lines. Once the count starts, the player begins to run between the two marked cones. Once the recorded beeps make a sound, player has to turn around. This Test is an upgrade from the previous ‘beep’ test, which was just about running to and from across a set distance. As the test progresses, the pace in the drill increases significantly. In case the player is unable to reach the line on time, he has to turn and run to the other line to overcome the delay within the next two beeps, failing which the test ends. The Indian Team and England Team have adopted this test to check their player endurance level as a part of fitness assessment. There we some reports that Yuvraj Singh and Suresh Raina were dropped from the Indian Team as they had failed the Yo-Yo test repeatedly. But those reports were false according to Ramji Srinivasan, Trainer Indian Cricket Team - (2009 - 2013). His Words : “ I don’t think BCCI would drop or remove somebody just based on the report of one test”.